So, as we can see there are plenty of reasons to need cord, so then the question is, which one do I need? There are quite a few, well, let me say, there are quite a lot of different cords to choose from. Most typically (for the uses listed above) the most common sized cord used ranges between 1 and 3 mm in diameter, and depending on thickness, can weigh between 0.5 oz up to around 4 oz per 50 feet of cord. As well, the weight-bearing loads can vary quite a bit, again depending on the cord. Some cords are simply made of nylon (which have lower weight limits, tend to stretch and is usually heavier in weight) while others are made with a spectra or dyneema core (which have pretty high listed weight limits, typically do not stretch and depending on diameter is usually pretty light-weight) and then there are some that is simply 100% dyneema braid which is usually pretty light-weight and has a significant weight-bearing load (although these are not to be used as life saving lines). A few other things to think about are the color of the line. Do you want a cord that is highly visible which can be seen in low lights easier, or would you rather have a dark line for some reason or another? How about at night, do you want it to glow if light is shined upon it? Also, what will you be using the cord for, or with? Keeping in mind that the absolutely thin line may be a little hard on the hands for tasks such as pulling a heavy food bag up in a tree. On the other hand, if you plan to use the cord with some of the LineLocs, keep in mind what size line will work appropriately with the intended LineLocs. So, while going to town to buy cord may seem like a simple thing, but just as with anything else, keep in mind what you need it for. Saying all of this, Lawson has recently introduced some interesting line for sell on his own site, Lawson Outdoor Equipment. In this case, his Reflective Glowire is a high-viz orange color which makes it easy to see in low light, but also uses a 3M reflective tracer which will actually glow when light hits it, making it ideal for tent or tarp guy lines among other things. You will never trip over your tent guyline again when you use our highly reflective Glowire. 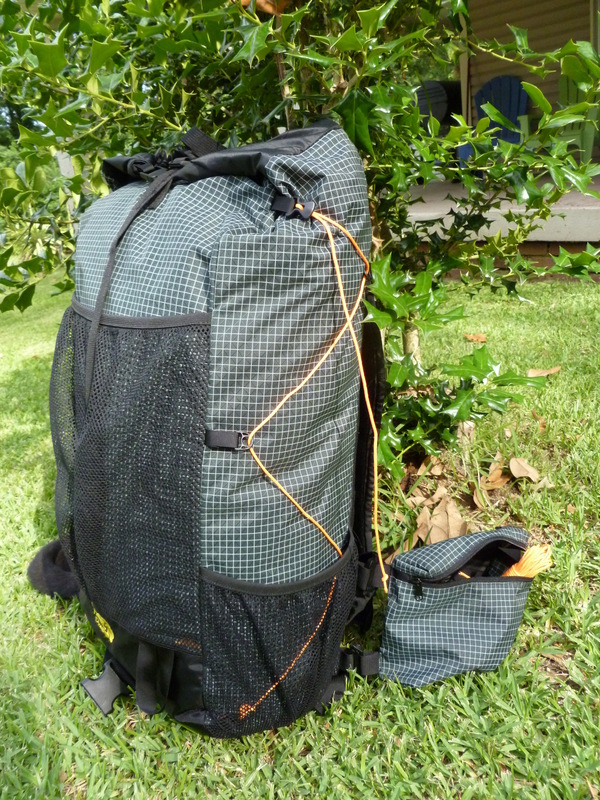 The cord is 2.0mm double braid that’s suitable for all sorts of backcountry applications including tent guy lines, tarp ridge lines, bear bagging and anything else you can can think of. 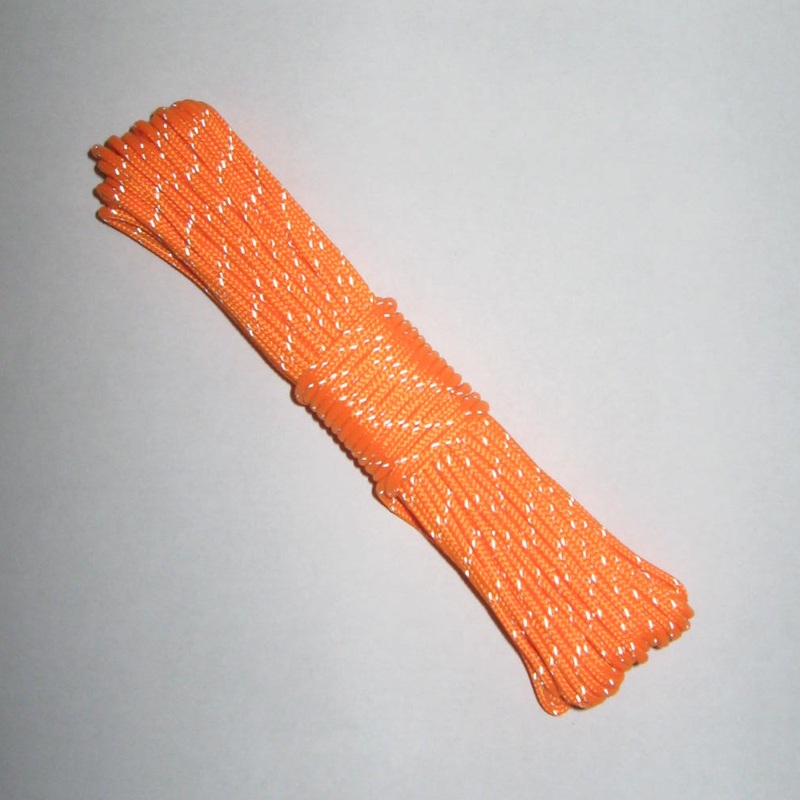 The cord is made with a high viz orange nylon jacket and uses a 3M reflective tracer. The core is a Dyneema/Dacron hybrid blend for low stretch, high strength and the ability to melt into the jacket.. 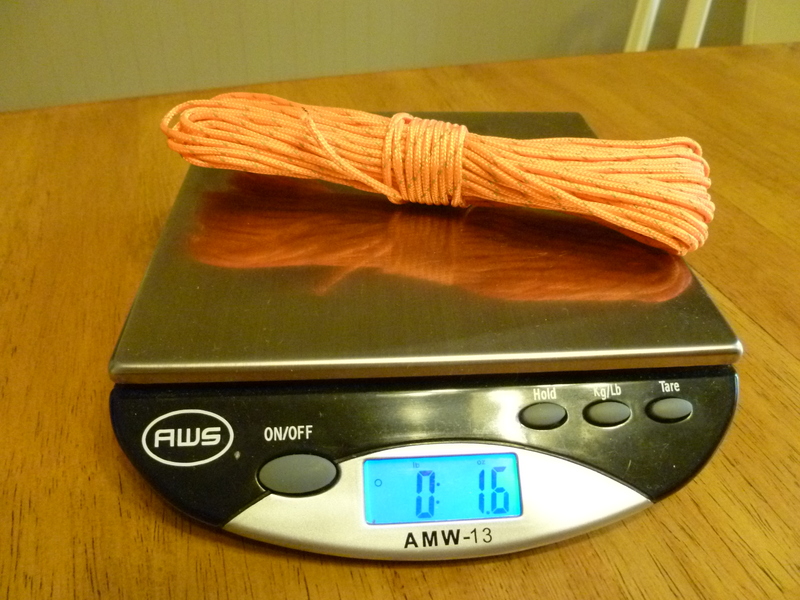 The cord is rated to 225lbs at 6% elongation at break. Weight: 1.50oz per 50 feet. The cord works with LineLoc 3’s. Lawson recently sent me 50 feet of the Reflective Glowire to try out and upon my initial impression, I am pretty happy with it. It came twined around itself and before I unwrapped it, I set it on my scale to see how much it weighed. As delivered, it weighed in at 1.6 oz. Next, I unrolled it and measured out the length which was sent and it came to the specified 50 feet in length. At 2 mm in diameter, this is pretty small diameter cord, however, it is listed to work with the LineLoc 3’s (which due to their super easy use, I have grown to love). Once I received the cord, I pulled out some extra LineLoc 3’s that I have on hand and threaded the Glowire through the LineLoc. They worked like a charm! So, I immediately grabbed my new Six Moon Designs Swift pack and replaced the black compression cords found on each side of the pack with a section of the Glowire. The Swift uses a LineLoc 3 at the top of each side in which the compression cord is ran through and is used to cinch down and hold the compression on the pack, so it is a great thing that this cord works well with the LineLoc’s. As well, with this highly reflective cord now on my pack, this will be a great way to spot my pack at night. And not to mention that by replacing the compression cords that came on the pack with Laswon’s Glowire actually saved me 4 grams! So, other than on my pack, I plan on using the remainder of the cord to replace the guy lines on my Six Moon Designs Skyscape Trekker tent which I am currently awaiting to come in. Until then, I would like to thank Lawson for giving me the opportunity to try out some of this great cord! And to everyone else, if you are in the market for some cord, I would highly suggest you look into some of Lawson’s cord. It is a great product, with lots of potential uses. As well, Lawson offers great customer service, which is a great thing in itself. Disclaimer: I received this complementary Glowire from Lawson Equipment Outdoors, but was under no obligation to review it.